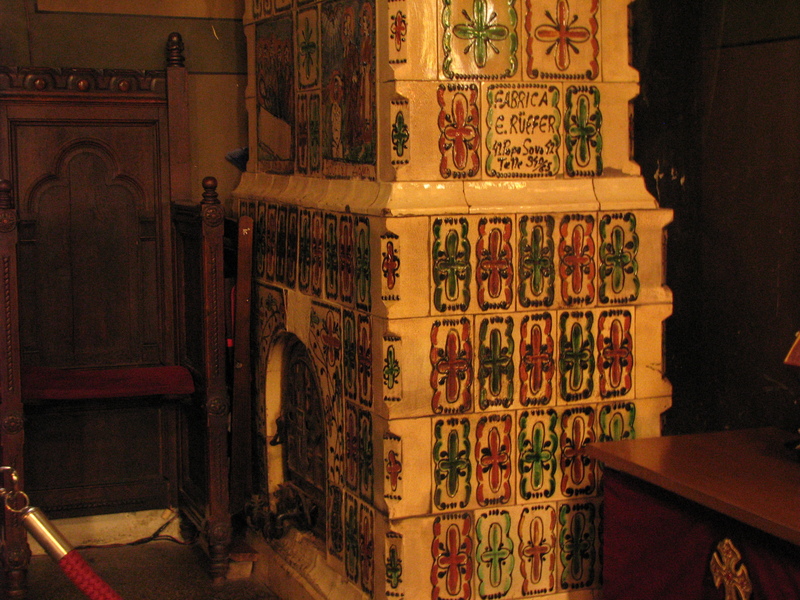 Two old stoves with hand painted ceramic tiles seen at Silvestru Church in Bucharest. 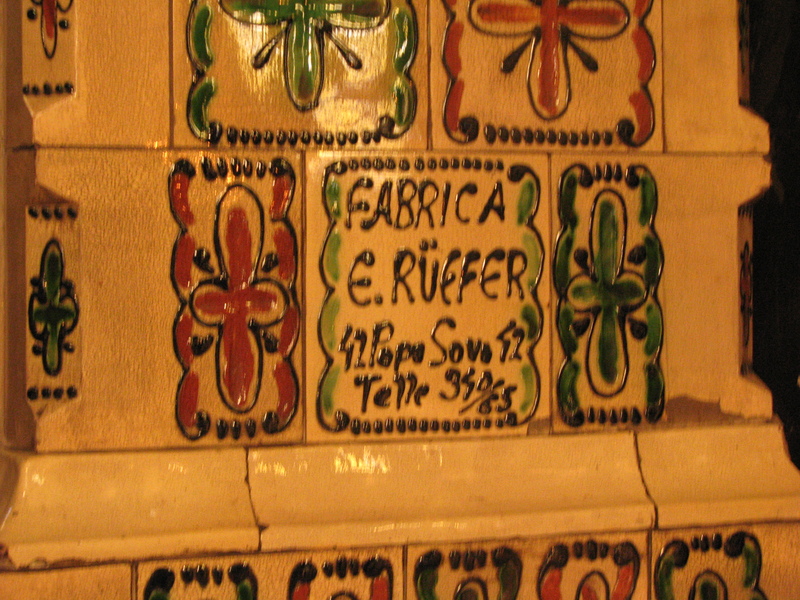 The stoves were manufactured at the well known ‘Factory of terracotta stoves and ceramics E. Ruffer’ active in Bucharest in the interwar years. 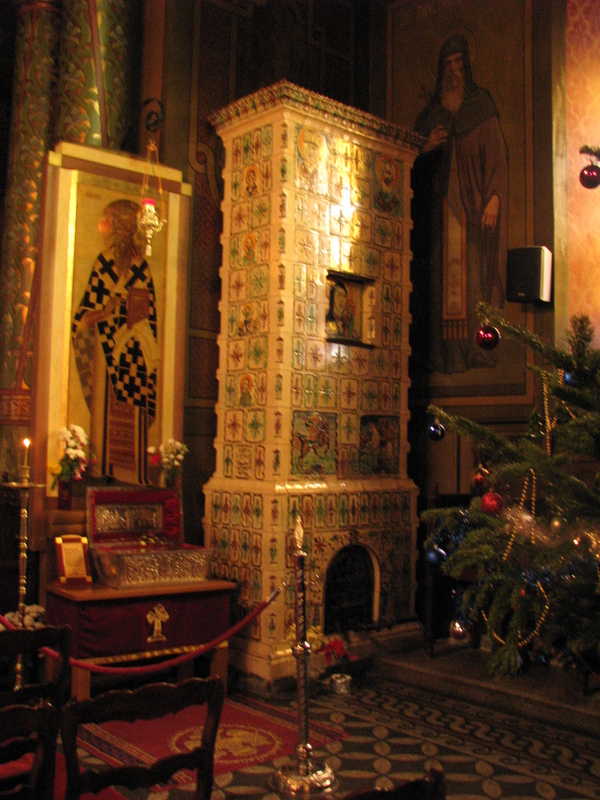 Photos taken 08 Jan 2013. 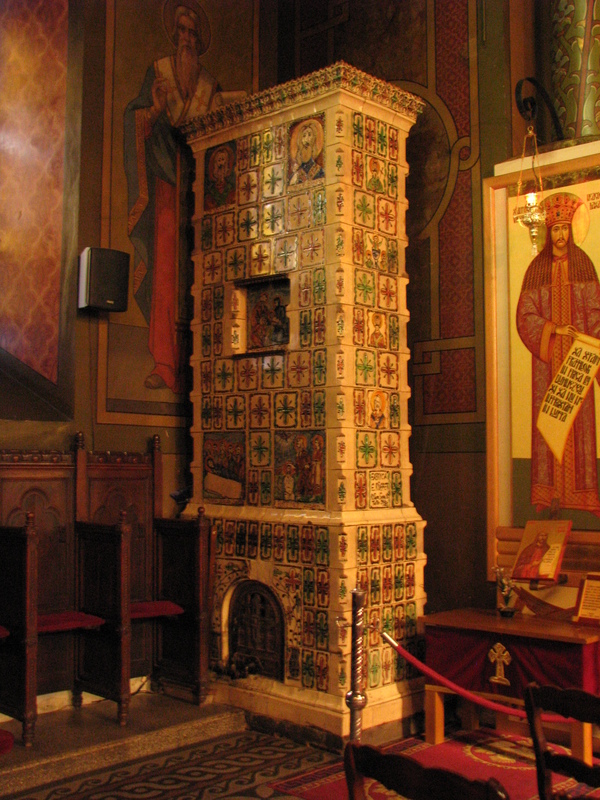 Stove with hand painted tiles, representing the Virgin and Child, St. Demetrios (Sf. Dumitru) on a black horse defeating the gladiator Lyaeus (symbolically, as St Demetrios defeated the gladiator by praying), and St. George on a white horse killing the Dragon.